If you're in need of an organization tool with some resilience, you've come to the right page. 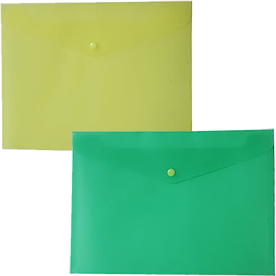 With JAM Paper's Plastic Snap Closure Envelopes, you'll not only get a durable plastic but a sturdy snap closure too. You can use them to organize work files, school papers, photos, and more. The choice is yours! And with JAM Paper's huge catalog of colors and sizes, you're sure to find a style you love. 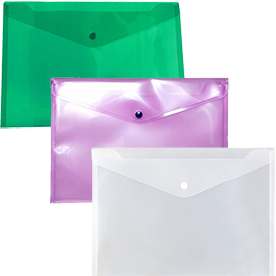 Our Original Plastic Snap Closure Envelopes are available in every color of the rainbow and even clear! So whether you want a strong red, a bright yellow, a vibrant lime green, or a clean clear, we have it all. The snap closure is sure to keep all of your documents secure so you won't ever have to worry about your items falling out again. Want an intricate design on your envelope? 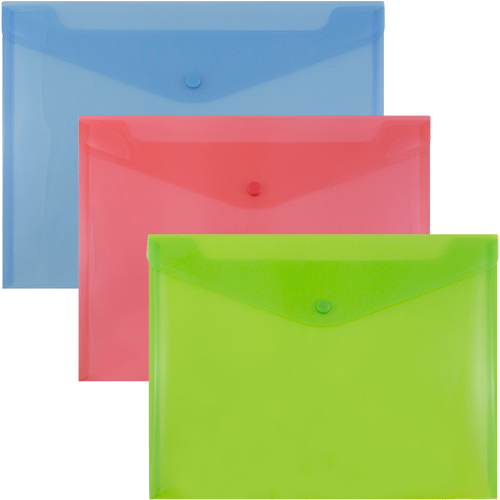 Try our Plastic Grid Snap Envelopes. Want to add some shine into your office space? 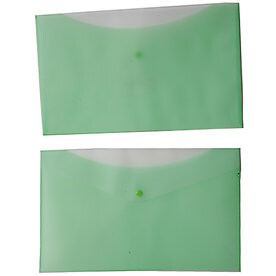 Try our Metallic Envelopes. Most of these envelopes come in either Letter Booklet or Legal Booklet size to make sure your documents don't have to bend in the process of storing them. But what if you need to store your index cards or CD's? Don't worry! We now carry Plastic Two-Tone CD Holders. This way, every kind of item or document can be protected in a snap. Now snap to it and start shopping today!